How high will SPOT Messenger return it’s position? though many flights report getting locations above this. A recent HAB flight from Great Tew in Oxfordshire, UK, shed some light on this. The HAB flight in question, which took off on 25th May 2013,was launched by Richard and his team. The camera payload was tracked using both a SPOT Messenger, TK 102 enhanced GPS tracker, and a radio tracker with a UBLOX GPS. Here is a map to show the location messages given by the SPOT Messenger and some (but not all) of the location messages given by the radio tracker. So it is fair to assume that the last message from SPOT came at around 11812m above sea level. Second, it is obvious that the latitude and longitude of the SPOT location message from the Chipping Campden area is out by around 6km. Many HAB flights using SPOT have reported inaccuracies in SPOT location messages above the manufacturers recommended altitude limit. 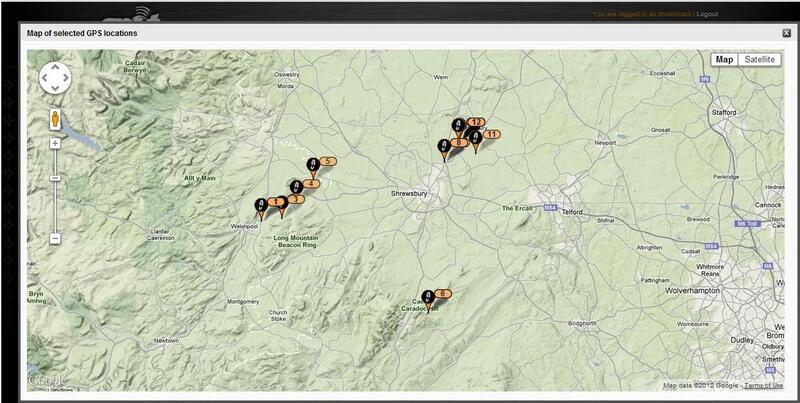 SPOT Messenger is a great way to locate and partially track your HAB. It also works well beyond the quoted altitude limit, however, the higher it gets beyond those limits, the greater the risk of inaccurate location reports. No parity and 2 stop bits. Now there are a range of PLB’s on the market, a simple comparison can be made. Experience is everything though. SPOT 2 is extensively tried and tested. While it sometimes gives erroneous positions at altitude or unexpectedly switches off, it is, on the whole, reliable. inReach has been tried several times and has performed well. Yellowbrick, to our knowledge, has not yet been tested in a HAB. 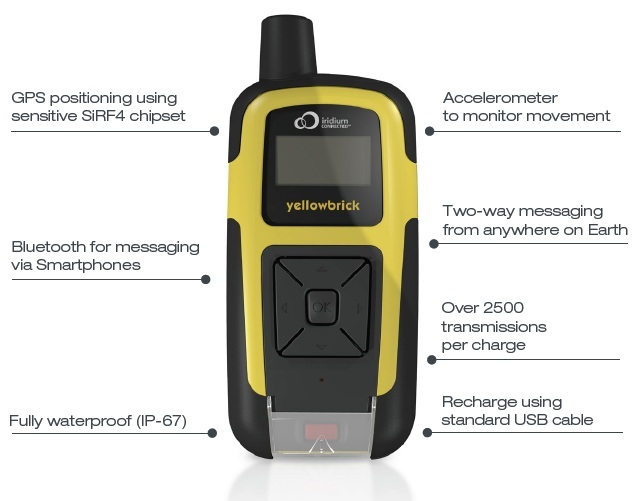 Yellow brick 3 is the first British entrant into the personal GPS beacon field but what does the device offer? 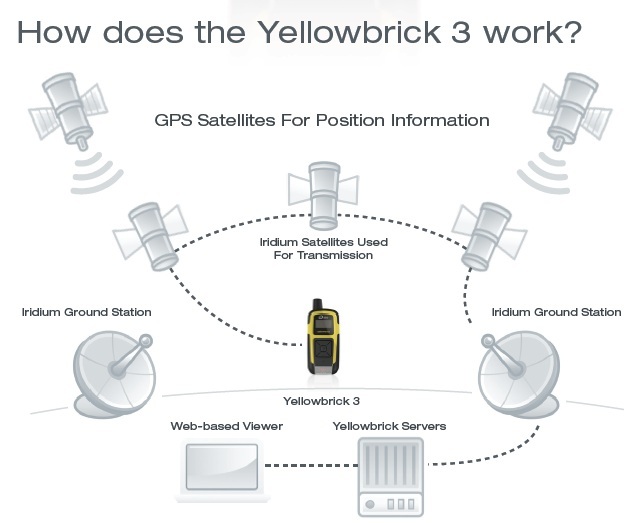 Yellow Brick 3 it a two way messenger and location beacon which utilises the Iridium satellite network. Yellow Brick 3 also offers the advantage of being able to purchase message credits as opposed to being lumbered with annual contracts which are more familiar to SPOT messenger and inReach. Like inReach, you can also tether smart phones. One big disadvantage to Yellow Brick is the price. The basic YB3 set is £399. The device is also heavy at 305 g. One great opportunity of the device is the two way messaging. For those who have seen the amazing work of Dave Akerman and his picture transmission from balloons, YB3 offers the hope that this could be available to ‘plug and play’ hobbyists. YB3 has not yet been tested at altitude but a launch is planned soon and we hope to update you on their successes as a balloon tracker. 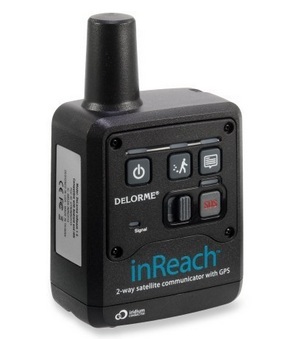 The DeLorme InReach GPS beacon is a competitor to the SPOT Messenger beacon in the HAB tracking sphere but what does the InReach actually offer? Similar to SPOT, it offers online position tracking over the web. Like SPOT, the devise boasts a dustproof, waterproof, and cold proof unit but is heavier than it’s rival. The quoted tracking update times are also the same at ca 10 minute intervals. The DeLorme devise is considerably more expensive coming in at $250 excluding service charges. There is a one-time activation charge of $19.95. In addition, you need to choose a subscription plan that best fits your needs. You can also move up and down between the plans based on their seasonal activity. There is no charge for moving to a higher-priced plan, but there is a $24.95 charge for moving down.